This is the third post in a three-part series about growth hacking. 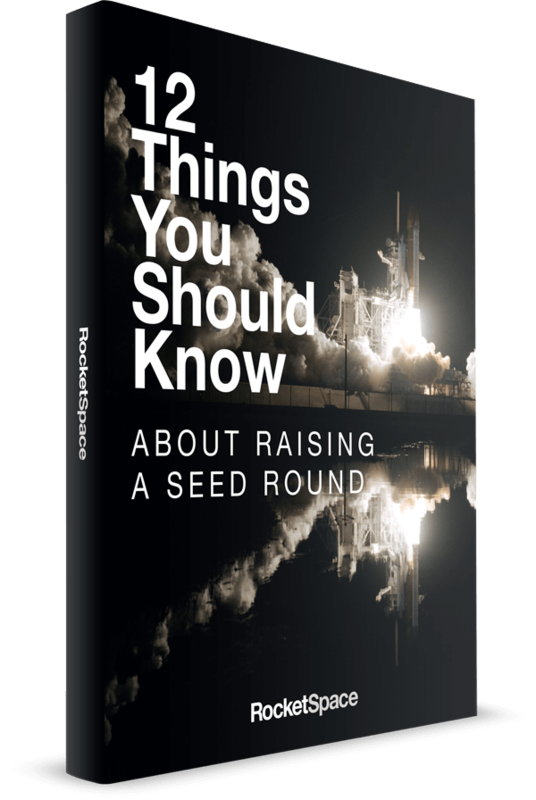 This post focuses on growing startup sales. Check out the first post on personal branding for startup founders and the second on growing an online audience. You're not running a successful business unless you're making money. Yes, it's great to solve customer problems and employ talented people, but in the end, the ship will sink without revenue. 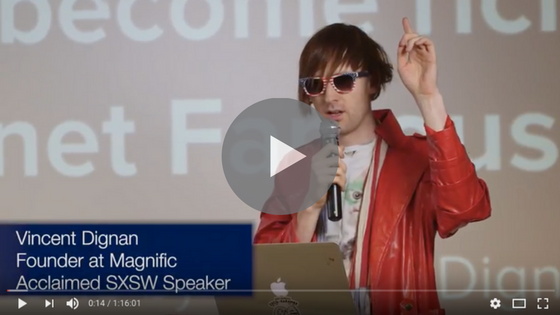 If it were up to growth hacking expert Vincent Dignan, startups would focus solely on money-making. He recommends that founders split their to-do lists into two sides: activities that directly generate revenue and activities that don't. "Only do the side that directly makes you money," he says. Period. Full stop. Dignan founded content marketing firm Magnific and took it through the TechStars London 2014 accelerator. His company's clients include the likes of Burberry, Converse, and Mercedes-Benz, and he's the co-author of Secret Sauce: A Step-by-step Guide to Growth Hacking. The man has a knack for marketing, and he's got a few sales tactics up his sleeve as well. "If I had only one piece of advice for everyone, it would be have a secret sauce" says Dignan. Authors Reneé Mauborgne and W. Chan Kim referred to this concept as having a "Blue Ocean Strategy" in their book of the same name. Dignan is on board with their thesis, noting that startups want to stay away from a "Red Ocean Strategy," in which companies are typically competing against one another on price, slashing away at margins, and bloodying up the ocean. "Create an uncontested market space," he says. "In a red ocean, you beat the competition. In a blue ocean, you make the competition irrelevant." How do you know you have a secret sauce? It's when people respond to your pitch with, "Oh yeah, that makes sense," Dignan says, "But you've worked through hundreds of [iterations] to get there." It takes a lot to get to a simple, elegant solution. If you get stuck at some point, he adds, ask industry experts for advice on networks likeClarity, where you can pay startup veterans for rapid-fire advice over the phone. "For most early-stage companies, the easiest way to get customers is public speaking," says Dignan. The caveat is price-point, he admits. If, like Dignan, you're the head of a marketing agency, you're off to a good start with just a few ongoing, paying clients. On the other hand, even if you're aiming to have millions of users, public speaking is a great way to attract early users, he says. Meetup and Eventbrite are great resources for discovering targeted audiences. Scan the sites for relevant keywords, make a list of the Meetup groups and various venues that might host you as a speaker, and then reach out to suggest yourself as a future speaker. According to Dignan's count, about one in four event organizers you contact should end up inviting you as a speaker, as they're always on the lookout for new guests. Conference keynotes are the next step. At large industry-specific events, you have the opportunity to step outside of your local market by gaining national or international clients. "Criminally undercharge to begin with," Dignan states controversially. It's his advice for getting a handful of happy customers early on. "It's a lot better to have lower money coming in than to have none," he claims. Dignan says in his first month of advising, he charged $130 per month per client, but as a result landed 19 paying clients that month. It gave him the opportunity to quickly get better at coaching, gain comfort in asking for money, and understand the invoicing system. In month two, he doubled his price, followed by a tripled price in month three. Grandfather early clients in at the rates in which they started, he says. No one wants the bait and switch, after all! "For many companies, you don't need to do social media," Dignan says. At his marketing agency, for example, they don't focus heavily on social media. Instead, Dignan gives talks to targeted audiences, and signs clients from those who reach out. "Generally, social media and content can't save sales. SEO can, if you're really good at it," he says. In the end, though, build your strategy around sales channels that you've mapped out and are sure will generate targeted leads that are likely to convert. All of the above is straight-forward, except that final point, which in his talk he succinctly described as "Work for influential people for free / build your network." Dignan says that the more you give away, the more comes back to you. "When you give out content, people are much warmer and will want to give you something in response, whether it's an introduction or an introductory phone call that may lead to a sale." Throughout his talk, Dignan focused on the the importance of building a healthy email subscriber base. Email, he says, is 40 times more effective than Facebook and Twitter combined. He also mentioned at least 20 apps (see the video below) for optimizing your email game, including email marketing platform Mailchimp, social intelligence tool Charlie App, and call-to-action tool Hello Bar. You can use a tool like Hello Bar to collect potential customer email addresses, send them product pitches via Mailchimp, and research them with Charlie App right before you meet up. Dignan ended his talk on one final note: "Never take advice from someone who has not done the exact thing you're trying to do." Hear, hear.